It has been almost two weeks since I returned from Cambridge. I had the privilege of teaching on a Doctor of Ministry course at Wesley House, Cambridge University. This particular degree is co-hosted by Wesley House and Wesley Theological Seminary in Washington, DC. My senior colleague, and friend, Prof Bruce Birch (the Dean of Wesley Seminary) had invited me to teach on the course. It was such a wonderful blessing to be able to visit Wesley House again. I have been a friend of the Principal of Wesley House, Dr Jane Leach, for more than a decade. You can find out more about this magnificent doctoral course at this link - I can highly recommend it for anyone who desires to engage in relevant, critical, theological study that will make a contribution in Church, society and academy. The 'cohort' of students that I had the joy of spending a week with were amazing. It was a diverse group of academics from all across the world (18 in total, one colleague from Liberia could not get a visa). Each of them had a particular connection to the Church and was seeking to develop as both a theological and ministry leader to better serve in their context. The class discussions were deeply challenging, lively, and of an extremely high level. I was so impressed by the persons, their experience, knowledge and preparation for the course. The week on which I taught aimed to bring together an understanding of Christianity as an historically 'glo-cal' phenomenon i.e., a faith that is globally oriented, yet locally contextualised. During the week we considered a number of aspects of the history, theology, geography, culture and demography of different Christianities across the world and across history. We read Kim, S. & Kim, K. 2016. Christianity as a World Religion: An Introduction. London: Bloomsbury Academic. It is a wonderful 'survey' text that traces the development of contextual expressions of Christianity across the continents of the world in historical and theological detail. I can highly recommend this book. In addition we also considered the work of Taylor, C. 2009. A Secular Age. Cambridge, MA: Harvard University Press. And some exceprts on the role of religion in public life from the brand new book: Kim, S. & Day, K. Eds. 2017. A Companion to Public Theology. Leiden Bosten: BRILL. It was just such a wonderful experience to be in community at Wesley House - it is truly one of the most remarkable places of learning - a true scholarly community with a deep commitment to academic excellence and spiritual discipline. I learnt a great deal from the colleagues on the course, and in my preparation to teach the course was once again inspired and challenged to think critically and carefully about the role of the religion (and the Church) in public life. It can be a great source for good, but also a space of struggle. I was reminded just how much good work Christians and Churches do, and how much more work there is to do in service of God's Kingdom and humanity and the planet's wholeness. Below are two videos: First, is a video I recorded in Cambridge on the content of the course and some of our focus points in Christianity as a Global / World religion. My thoughts were a little scattered, and I was also a little destracted by the persons walking past. But, it gives some idea of what I was thinking. Second, I would commend this video, recorded with Prof Jan Jans from Tilburgh University (about a year earlier) on the death of religion and the rise of spirituality in Europe. It is also a very interesting discussion! Jan is a great friend who visits us at Stellenbosch each year. I love his energy and insights! As always I would love to hear your thoughts, and ideas. How do you express your faith in your context? What is the role of Christianity and religion in your community? I am coming to the end of a magnificent trip to Berlin, Germany. I arrived here almost three weeks ago to speak at and participate in a number of events. The title of this blog post is 'A matter of conflict? Politics and sustainable development?' It seems, as I reflect on my time here, that I have given a lot of time to thinking about the relationship between an ethics of justice and an ethics of care - how do we work of a world in which no one has too much while anyone has too little? How do we transform economic, social and political systems for the common good AND at the same time care for one another and the environment. This is the 'site' of conflict, that intersection between justice and care. My colleauge Dr Carike Noeth is a specialist in this field of study (having completed a great PHD on the ethics of care (and justice!) last year. So, this has occupied a lot of my thinking. Prof Torsten Meireis, a senior colleauge in Ethics and Public Theology - who is a Professor at the Humboldt Universität zu Berlin - invited me to participate in some events here in Berlin during the summer. It has been such a wonderful and significant visit. I have had the privilege of participating in a number of academic conferences, the G20 meetings in Potsdam, visiting and doing a lecture at Bamberg University, and working on a joint research project with Prof Meireis. So, I arrived in Berlin on the 6th of June to participatein the first event which is a joint 'Summer School' program that is hosted by the Humboldt University, Stellenbosch University (where I teach), the University of KwaZulu Natal (UKZN), and the University of the Western Cape (UWC). Each year we meet in South Africa in February or March, and then in Berlin in June. It was so wonderful to be here with South African and German colleagues - the event was arranged by Dr Clemens Wustmans from the Humboldt University and our topic was 'Religion, sustainability and politics'. The presenters included scientists, literary theorists, development specialists, religious scholars and theologians. In this picture you will see Prof Meireis. As mentioned I was in Berlin at his invitation. In part it was also to work on a joint research grant application for a project that he and I will collaborate on. The project focuses in the ethics of 'Welfare pluralism' in South Africa and Germany - in particular how notions of welfare are conceived and who participates in the conception and expression of these concepts (the state, civil society and the religious sector, the private sector etc.) I really hope that this project will be successful! It will be a great development for my academic career, and it will also mean that I will spend a lot more time with Torsten and time in Berlin! So, I will keep you updated on how that develops! At the summer school I presented a paper entitled 'Thinking 'olive' instead of 'red' or 'green': Seeking to bring together sustainability and development discourses in Southern African Methodist Ethics'. The paper will be finalised and prepared for publication. In the meantime, here is a short Youtube video from my series 'It's not a lecture... Just a thought!' on this topic. You will also get to see some of Berlin and my beautiful Brompton Bicycle on this trip! Then, on the 12th of June I went to the University of Bamberg where I did a public lecture with Prof Thomas Wabel who is also an ethicist and Public Theologian. The purpose of the visit (other than the lecture) was to hand over the 'leadership' of the Global Network for Public Theology from Stellenbosch (where we hosted the last global gathering in October 2016) to Bamberg where the next gathering will take place in 2019. Thomas takes over as the hosting chair, and I will serve (at the behest of Prof Nico Koopman) as the outgoing hosting chair on the international commitee. Bamberg was amazing! It is such a beautiful city! The lecture itself went well, as did the meetings. I was so surprised to see my colleague Prof Smanga Kumalo from UKZN and Seth Mokitimi Methodist Seminary (SMMS) arrive at the lecture! He had come to the city for some meetings and heard I was doing the lecture and so attended. That was very special. Here is a poster for the lecture, and a picture of Smanga and I before the event. The title of my lecture was ‘The (im)possibility of forgiveness? Nelson Mandela and the Politics of forgiveness in South Africa’. The lecture is based on two large research projects that I have just concluded (if you see my youtube channel you will find details of both). They are, the research and work that I have been doing on Nelson Mandela and political theologies in South Africa, and my 2nd PHD (which I handed in at Radboud University on 14 May 2017!) which is entitled ‘The (im)possibility of forgiveness? An empirical intercultural Bible reading of Matthew 18.15-35’. In that research project I did a 3 year qualitative empirical study on how Black and White South African Christians conceptualize, understand, and express notions and processes of forgiveness in contemporary South Africa with its significant economic, social, political and racial divides. The lecture went off well and there was a lively discussion afterwards. The President of the Bamberg University, Prof Ruppert, attended the event which was a great honor. Here is a picture of myself and Prof Thomas Wabel, where the 'GNPT' Batik cloth was handed over. After returning from Bamberg I came back to Berlin to participate in the G20 Interfaith Meetings in Potsdam. This was a wonderful opportunity to further discuss the role of religion in the G20 nations in relation to sustainable development and migration - which are significant and important topics currently. What I found so interesting is the very important role that the G20 places upon religion and the religious across the world. The Pew Researcher (Brian Grim) spoke about their research that shows that 84% of global citizens identify that they are religious. This is significant. Of course we know that religion is often a source of conflict and social division, even abuse. Yet, at the same time it is also a great source of transformation, care, development and change. I was so grateful to be at this event thanks to my colleague and friend from Oxford University, Dr Peter Petkoff (pictured here). Now I am on the last stretch of my stay in Berlin. Today and tomorrow I shall participate in the opening conference of the Berlin Institute for Public theology (of which I am a member). I will be speaking on Public Theology, globalization, politics and economics tomorrow. My paper is written, but I feel that I still need to rework it a little before I present. By Friday evening I shall be home with Megie, Liam and Courtney! I cannot wait. Trips like these are always so wonderful and significant. But, my goodness, there is nothing quite like being home with my family! You may have noticed that I have not been posting to my BLOG as regularly in recent months. In part this is because Squarespace no longer supports posting to version 5 sites from their iOS apps. I mostly posted to my BLOG from my iPad or iPhone. So, if anyone has a solution for this please let me know! I would love to be able to post more regularly but need to be able to do so from my iPhone or iPad. Well, here is a post that I prepared about two weeks ago when I was in Belgium. In today’s VLOG I travel to Leuven in Belgium for a conference with my friend Prof Kobus Kok. It is a wonderful journey, and so much fun with my Brompton bicycle (cycle, train, bus, cycle!) It is awesome. But, I notice that the demographics of the Netherlands and Belgium differ somewhat. This got me thinking about the current concerns in Europe, the USA and elsewhere about refugees, ‘closing’ one’s borders, BREXIT and of course Turkey, France and Trump’s USA. I discuss John Rawls’ Theory of Justice as one way of viewing how we might structure our societies economically and politically if we have a concern for our past history and our future shared wellbeing. I would love to hear your thoughts, comments, ideas! Like me, my Leica camera is well worn! It shows the scuffs and scars of everyday life. However, it has kept its sharpness over the years. I, on the other hand, have tried to soften some of my edges as I grow older - it is a work in progress. It takes thought and deliberate intention. I am grateful for life. And yes, I am grateful for my Leica. It slows me down. I have to think about light, shutter speed, ISO, and aperture. Every shot is deliberate, it is composed, considered. This is not an action camera. It is a tool that invites reflection. When the picture is taken it has a story - some moments in history, accumulated experiences captured in time. Why the return to my camera in recent months? Well, for the past three years I have been working on a big research project - a second PhD. It has been a wonderful journey! I have learnt so much. However, for those who have ever undertaken such a task you will now that hardly a moment goes by where you do not feel guilty that you are not reading, thinking, and writing. Such a project is started with an end in mind - it is teleological. The end invites action in the present. That can create pressure. My PhD is done. The manuscript was completed and sent to my promoters at Radoubd University. I am not awaiting feedback from one of them (I already had feedback and the final 'sign off' from one). Once that is done the manuscript will be prepared for examination and defence in Holland. So, that pressure has lifted. It has given me a bit of a psychological 'margin' - some space to think, to reflect, and to pick up my camera again without feeling guilty! It is a gift. I am currently in Berlin, Germany (June 2017) to speak at some conferences, participate in the G20 meetings, and work on a joint research project with Prof Torsten Meireis, a senior colleauge in Ethics and Public Theology at the Humboldt Universität zu Berlin. It is a magnificent summer - and of course the city of Berlin does not dissapoint with beauty, diversity, and wonder! On Sunday the 18th of June (not the 17th as I say in this video! Sorry!) I went for a photo walk around 'Museum Island' near where I am staying along the Spree river. I took my lovely old Leica with a 40mm Voigtlander f1.4 lens and took some photographs. Here is a video of the walk and some of the photographs I took. It is such a beautiful place to shoot - and I see it so differently when I am looking with anticipation of capturing the 'decisive moment' as Cartier Bresson would say. In our 3rd year Public Theology / Ethics class today we discussed the notion of a just society in which all citizens have the right to have rights, and the resources of the nation are shared for the common good. We considered that a just society is one where power is used to safeguard the rights of the least powerful, and where economic policy is implemented, not for the benefit of the privileged or the elite, but for the benefit and protection of poorest of the poor. John Rawls's theory of justice was discussed, as was God's preferential option for the poor. In particular, however, we pointed out that in a country where 83% of our citizens say that they are members of the Christian faith, denials of justice and the abuse of the less powerful are failures in our witness and work as the church! Minister Dlamini is a member of a Christian church. Has her denomination held her to account for her poor servanthood, for her failure to be a good steward of the trust of the South African people? Have the members of her family, her community, her Church, reminded her that a nation is judged by how it treats its most vulnerable citizens, not its richest and most powerful? Christians in South Africa, we have so much work to do to witness to justice and work for the common good. We are called to do so - it is a responsibility. I am grateful to be able to wrestle with these issues with colleagues and comrades in Christ. Thank you for your companionship on the journey! Poor people across the country owe a debt to Social Development Minister Bathabile Dlamini. Entirely by accident, she may have produced a national consensus in support of social grants. Dlamini presides over perhaps the most disgraceful incident in the past two decades, an exercise in breathtaking contempt for 17-million people who receive grants. There are two possible explanations for the crisis her ministry has created for the grants programme. Either it did not care, over several years, about making sure grants would be paid after the Constitutional Court overturned its agreement with Cash Paymaster Services — or someone sought to benefit financially from ignoring the order. Both explanations mean her department sees the people who are entitled to grants not as citizens with rights, but as a means to some other end. Which, of course, makes it all the more ironic that it has given grants an unexpected boost. Before the grants story became national news, the programme’s only friends were a handful of academics, activist nongovernmental organisations and the poor themselves. Elites here are divided on most issues, but not on prejudices against social grants, which are often derided as hand-outs that create dependency. The right complains that they place a burden on middle class and affluent people, who are expected to sustain others who lack their abilities. Many on the left, and within the governing party, see them as an embarrassing admission of defeat by a state that should be running employment programmes rather than giving money to the excluded. Commentators across the racial and political spectrum join in this assault on grants, sometimes by spreading legends. A former ANC Cabinet minister claimed, without any evidence, that rural people avoided working the fields because they receive grants. A bank economist claimed that tens of thousands of women fell pregnant simply to receive grants: when asked for his information source, he said a friend told him. Dlamini’s disaster may have changed all that. None of the commentators or politicians who have criticised her, which means everyone outside the ANC’s patronage faction, have questioned the need to pay grants. It could be a long time before it will again be fashionable to denigrate them. If the assault on grants ends, Dlamini’s scandal will be a disguised blessing for the economy as well as the poor. Grants are, with the programme to provide treatment for people living with HIV/AIDS, the country’s most important success story in the post-1994 era. Research shows that, contrary to the urban legends, grants are not only a lifeline for poor people: they also help to kick-start local economies. Few people fritter grants away — they are more likely to use them to meet social needs. In some towns, before the grants programme was rolled out, men stood in line for a handful of mining jobs. After grants arrived, people were more likely to be standing in line at stores or, more importantly, buying and selling on the streets. No wonder that studies have found that grants are the most effective antipoverty tool introduced since democracy arrived. One reason grants are effective is that the decisions on how to spend them are made by the recipients rather than policy makers. One of the greatest blocks to development here is the gap between what many policy makers think poor people need and what the poor know they need. The more people are able to decide for themselves what their priorities are, the more likely is it that the money will not be wasted. An end to the campaign against grants might also help the debate to focus on the real world. As this column has pointed out, millions of South Africans will remain outside the formal job market for a very long time, whatever we do and so they will require support to enable them to live productive lives. Finally, the political costs of harming the grants programme may be severe. Research shows, predictably, that people who receive grants value them and would be angered if they did not receive them, so protecting grants is essential to maintaining a semblance of social calm. The fact that no one in the debate has denied that failure to pay grants would be a catastrophe suggests that this reality too is now accepted. For all these reasons, if Dlamini’s indifference to those who receive grants has made them a source of national pride and their protection a priority across the spectrum, she will have made, despite her best efforts, a real contribution to the campaign against poverty. This is a photo of my son Liam. It was taken on my old Leica M8 with a Voigtlander Nokton 50mm F1.1 lens. At an aperture of F1.8. I love this old camera. The slow and deliberate process of manual photography is a welcome change to the ultra convenient, high quality, point and shoot style of my iPhone. It takes time to frame the shot, to focus using the range finder, choosing the aperture, ISO and shutter speed to avoid over exposure or under exposure. I get very few near perfect shots, but when you do get one, it feels great! A memory of my precious son at 10 years old. Here are a few other photographs taken on the same walk. The Global Values Survey shows that religious organisations remain among the most trusted institutions in South African society. They enjoy higher levels of public trust than either the state or the private sector. This trust should not be abused or manipulated. This is a challenge in most societies in the world. South Africa’s particular circumstances are complicated by a difficult historical relationship between the church and the state. The state has often abused the church to garner votes and misinform, or to silence, its population. The church, on the other hand, has at times given moral and religious sanction that allowed the state to perpetrate significant injustices. The issue of church and state relationships remains important for a number of reasons. First, South Africa is a deeply religious society. About 85% of its citizens are Christian, while a further 3% belong to other faiths. Second, it has a clear precedent where an inappropriate relationship between the church and the state led to wide scale human rights abuses in the country’s apartheid past. There appears to be a reemergence of the abuse of the trust that South Africans place in religions. This is a dangerous situation. An example is the governing ANC’s courting of the largest mainline denomination - the Methodist Church of Southern Africa. When it does not find favour there, it reaches out to independent churches, which are the fastest growing religious groupings in the country. The rise of apartheid politics in South Africa was inextricably linked to apartheid theology. It was the heretical theological views about how society should be structured, and whom God favoured, that gave the moral and religious sanction for a so-called “Christian” nation to perpetrate unimaginable human rights abuses. At the turn of the 1900s the fledgling Afrikaners nation (Volk) developed a theology in which they viewed themselves as chosen by God for a particular task. When the National Party came to power in 1948 they had the firm backing of the white Afrikaans churches. The churches – on the Nationalists’ behalf – used the bible and covenantal theology to construct a view that white Afrikaners had special rights at the expense of black South Africans, who according to the policy of apartheid, had none. Particular moral and religious values practised in the church and the home, became the laws of the nation. Given the close relationship between the church and state, the moderator of the Dutch Reformed Church was jokingly referred to as the “second most powerful man in the country”, while the Dutch Reformed Church was referred to as the “National Party at prayer”. This dangerous relationship detracted from the role of the state to protect the rights of all of its citizens, regardless of their faith. It also eroded the ministry of the church, which should hold the state accountable for its service to the people. The church also needs to be free to exercise its religious and moral mandate without political interference. These religious and moral convictions separated people according to race and privileged a minority at the expense of the majority. We are still facing the consequences of those actions and choices. Many gave a sigh of relief when the state and the church were disentangled at the end of the apartheid era. Sadly, that form of separation was short lived. Once again a governing party, in this ANC, is crossing that line. Recently, Reverend Vukile Mehana, the ANC’s former chaplain general, defended President Jacob Zuma’s claim that people who voted for the ANC would go to heaven, while those who voted for other parties would go to hell. You cannot have church leaders that speak as if they are in opposition to government … God will liberate the people through this (ANC) government. the years since 1994 have surely persuaded us that democracy is not to be equated with the arrival of the reign of God. So, how did this happen again? Of course there are many complex reasons that lead political parties to want the trust, and moral sanction, of large constituencies such as churches. On the other hand, there are many church ministers and members who seek the power and opportunity that comes from being connected with political parties and party officials. My 2014 research, showed that the path for the current abuses of church and state relationships came from former President Nelson Mandela’s relationship with his church. Religious communities have a vital role to play in this regard [nation building]. Just as you took leading roles in the struggle against apartheid, so too you should be at the forefront of helping to deliver a better life to all our people. Among other things you are well placed to assist in building capacity within communities for effective delivery of a better life. Mandela worked with faith leaders and church communities, and because he was viewed as a “good person” and a trusted leader, he won their confidence. 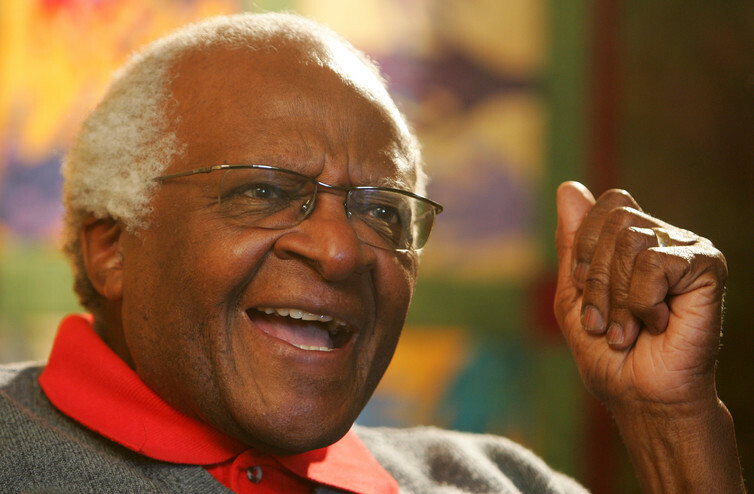 Senior church leaders, such as Archbishop Desmond Tutu, worked alongside President Mandela in nation building initiatives. The state also became accustomed to working with faith-based organisations, which in many poor and rural communities are important, and necessary, sources of support, development aid, and social identity. But, as successive political leaders, and their political parties, came to power, their intentions seemed less honourable. Many outspoken activists and church leaders had been co-opted into senior government and party-political posts. And formerly trusted allies, such as Archbishop Desmond Tutu, started facing a backlash whenever they challenged political corruption or ineptitude. And so, South Africa once again finds itself in a precarious position where a powerful and important social institution is being co-opted by political power. Political leaders are losing their religious and moral impartiality to serve the interests of particular churches and denominations at the expense of others. Political independence and religious freedom are once again under threat. Today Prof Barney Pityana gave a superb lecture on Black Consciousness and the legacy of Steve Biko at Stellenbosch University. He celebrated the contribution of Steve Biko who was murdered by the apartheid Security Police on 12 September 1977. He did, however, remind us that Black Consciousness is an important discourse that has continued in the years since Biko's death. We need to understand that the discourse has developed and grown and even matured in recent decades. While this important movement is irrevocably linked to the legacy of Steve Biko, it is an ongoing movement that finds varied expressions and has developed in different (and at times even conflicting) ways. "[Western society] seems to be very concerned with perfecting their technological know-how while losing out on their spiritual dimension. We believe that in the long run the special contribution to the world by Africa will be in this field of human relationship. The great powers of the world may have done wonders in giving the world an industrial and military look, but the great gift still has to come from Africa - giving the world a more human face" (Biko 1978:46). Dr Henry Mbaya opening the Faculty of Theology, Stellenbosch University (@theologystudents_maties on Instagram and @theologystel on Twitter) conference on De-colonising African/Western Knowledge systems conference by reflecting upon, and celebrating, the person and work of Prof John Mbiti. Prof Mbiti spoke later in the day. Here is a video of him speaking about Africa, Christianity and the Bible. Other contributors are Prof Rothney Tshaka (UNISA), Dr Ntozake Cezula (Stellenbosch), Dr Humphrey Waweru (Kenyatta), Prof Fidelis Nkomazana (Botswana), Dr Paddy Musana (Makerere), and student panels from North West University, the University of Pretoria, the University of the Free State, and Stellenbosch University. Mbembe, A. 2015. Decolonizing Knowledge and the Question of the Archive. Transcription of talk series.